Although an ever-increasing body of research data has documented the usefulness of goats for controlling brushy and weedy species such as shinnery oak, blackjack, and post oak, leafy spurge, sericea lespedeza, and many other species, this technique remains severely underutilized. Environmental concerns and the increased costs of chemical and mechanical control methods provide greater opportunities to utilize biological control methods such as goats for removal of brush and weeds. Goats have an advantage over other biological control methods in that they can profitably convert brush and weeds into a saleable product and they can graze concurrently with cattle. In addition, goats improve the cycling of plant nutrients sequestered in brush and weeds, enabling the reestablishment of grassy species. The foremost limitation to using goats for brush and weed control is the social stigma cattlemen attached to goats. The lack of an infrastructure (animal markets, source of large numbers of adapted animals, producer experience and knowledge base) to support goat enterprises is a serious constraint which is gradually being overcome as the goat industry expands. Suitable goat production systems need to be developed for specific environments. This involves the modification of existing knowledge, especially in regard to kidding date, parasite management, predator control, fencing, and marketing strategy. The lack of economic data and enterprise budgets also are constraints. 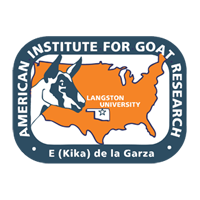 Further research is needed to collect economic data and to develop stocking rate criteria and production systems to support the use of goats for biological weed and brush control in a diversity of environments.